Parent involvement and participation is warmly invited and actively encouraged. You can participate in a variety of ways such as school council, parents and friends, working bees, excursions. camps, volunteering in the classrooms and just by staying up to date with school news and happenings. Just speak to your classroom teacher – or our Principal to find out more! School Council comprises of Parents, Teachers, the Principal and often community members. School Council elections are held in February or March each year. All parents or guardians of students enrolled at the school are eligible to vote for parent members, and staff vote for teacher members. Community members are coopted by the School Council. Meetings are held on the 3rd Tuesday of each month at 7.00pm in the staffroom. Each year we prepare a roster so that the workload can be spread evenly among all families. Our working bees have been so successful over the years due to the large number of parents who have supported the system. We have appreciated the hard work and the time you have given to keep our school clean and tidy. We are keen to keep this tradition going for future years. Each family is required to attend only once throughout the year, to help maintain and further improve our school grounds. Each month a list of jobs is assigned to the nominated group. The coordinator of that group will contact you and advise you of the tasks required to be completed and of the equipment you may need to bring. A parent from each group is in charge of their ‘crew’ and will direct jobs for the morning (9:00am – 12:00pm). Tasks may include minor works jobs such as plumbing, concreting, painting, mulching, cleaning, paving, gardening etc. Materials for approved tasks will be purchased by the school. A teacher will be present at each working bee to support the team. If you have any ideas for working bees and would like to help with the decisions and future planning of the school, please contact the school office. If you are unable to attend on your allocated day, please contact your coordinator so that a more suitable day can be arranged. Remember – this is only one day per year. The work carried out by parents saves the school enormous costs by not having to officially employ a regular gardener or handyman. The school buildings and grounds always require care and attention. It is important that we keep up with these demands. In doing so, the children and teachers all appreciate working in a clean, safe and aesthetically pleasing environment. 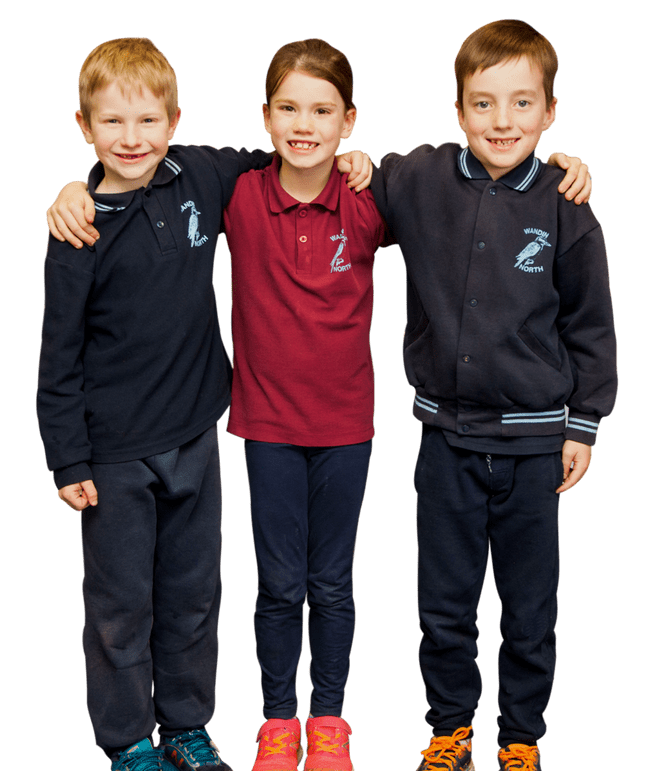 Our school vision is ‘A community of learners achieving together’, which means in practical terms, we share a common focus of creating the best possible learning environment for all of our children at Wandin North. Parents help in so many ways; reading with children, listening to children read, working bees, free fruit Friday, excursions, camps, gardening, chess club, after school basketball, sports days, production, the list is endless. Stallholders – Now taking bookings for 2019. For enquiries call Megan – 0359 644 259or for more information contact Dee DeKlijn (Principal – Wandin North Primary School) Phone 0359 644 570. On the third Sunday in March, Wandin North Primary School will host its Annual Harvest Market. The Harvest Market is the only major fundraiser for the school and is representative of our schools culture and strong community spirit. We ask for a commitment from parents to work together with friends and family in addition to those whom you may not have crossed paths with yet. With a common purpose and lots of effort and plenty of laughter, we celebrate a fantastic day alongside staff, students and the wider community. Over the past 18 years, the school community has raised in excess of $200,000. As a result we have been fortunate to be able to purchase; Ipads, computers, play equipment, air conditioners, library books and Apple TV’s for every classroom. The Harvest Market attracts visitors from the local community and from afar. It is packed with vibrant stalls selling everything from fresh produce and homemade cakes to arts and crafts, collectables, toys, jewellery and plants. The Harvest Market offers a selection of games, activities and crafts for families with young children to enjoy for free. Visitors have a chance to sit down for lunch with friends in the shade of market umbrellas and enjoy the free entertainment on the main stage. The market starts at 9.00am and finishes at 2.00pm when the main raffle is drawn. Students from Grades 2-6 take part in our School Camps Program. Part of this involves a 4 day camp for students in Grade 5-6; a 3 day camp for students in Grades 3-4 & and an overnight camp for Grade 2 students. Grade 1 students participate in a “school sleepover”, and Prep children take part in a “Late Night In” at school. School camps are a highlight of the students’ primary school years and an event not to be missed. Excursions: All students have an opportunity to attend excursion/Incursions throughout the year. At the start of each year, a list of dates will be released and as help is needed we will notify at that time. Some years ago, the State government funded a healthy eating campaign, Free Fruit Friday. We loved it and so did the kids, so when funding ceased we continued with providing our children with a selection of free fruit each Friday. We are very fortunate to have the support of a local orchardist who donates apples each week in addition to a group of parents who volunteer their time to come up to school and cut up the fruit. We know that some children rarely eat fresh fruit and it always puts a smile on our faces when all the kids dig into their fruit, including the reluctant ones, because their friends and peers are eating it!